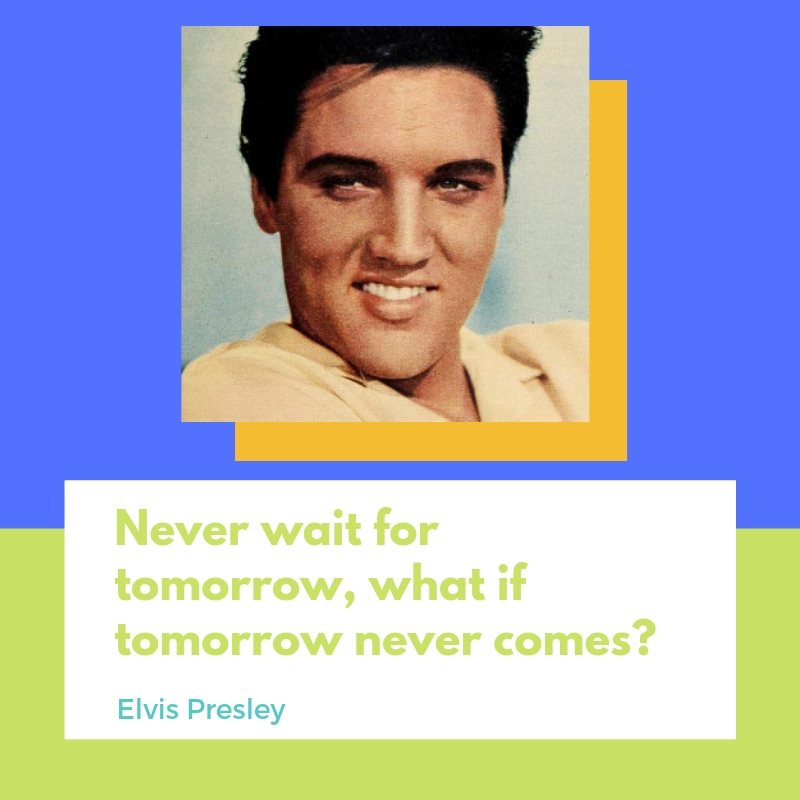 Who doesn’t know Elvis Presley – the man considered to be king of Rock & Roll? 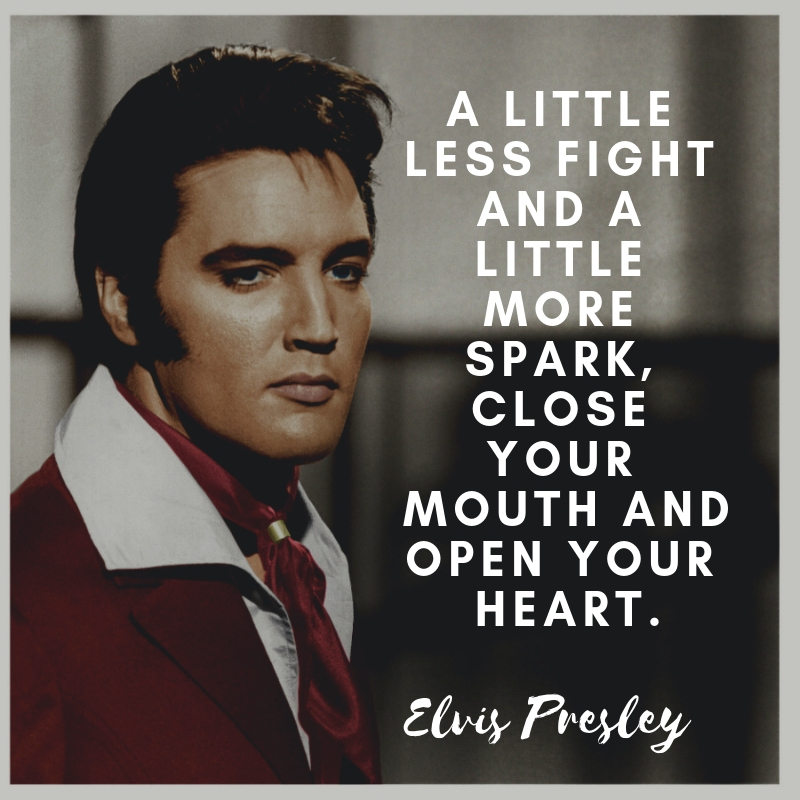 Elvis was a popular American rock music icon and a movie actor. 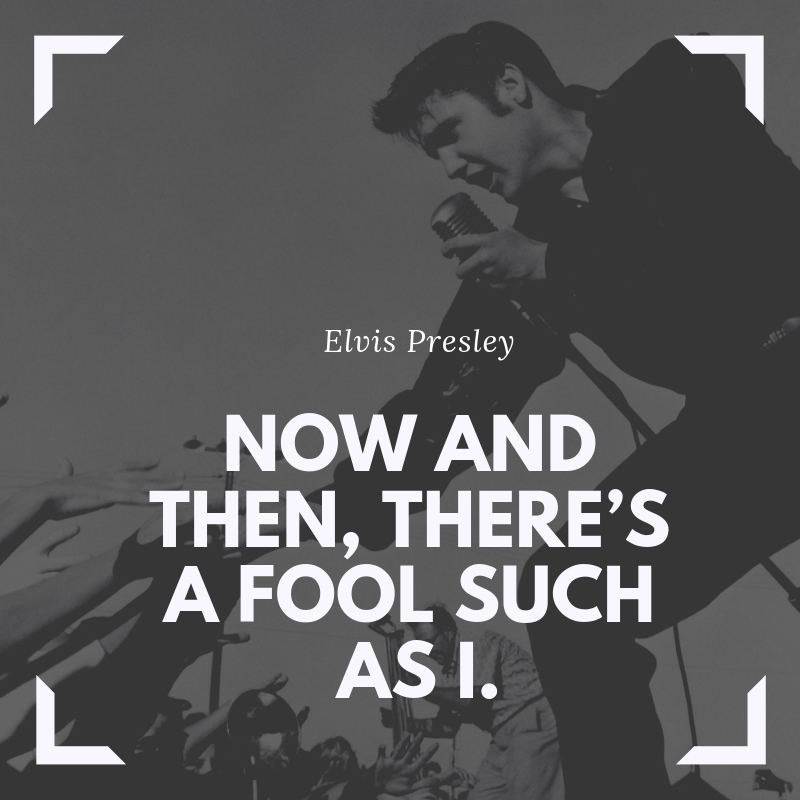 Born on January 8, 1935, Elvis is regarded as one of the most significant cultural icons of the 20th century. 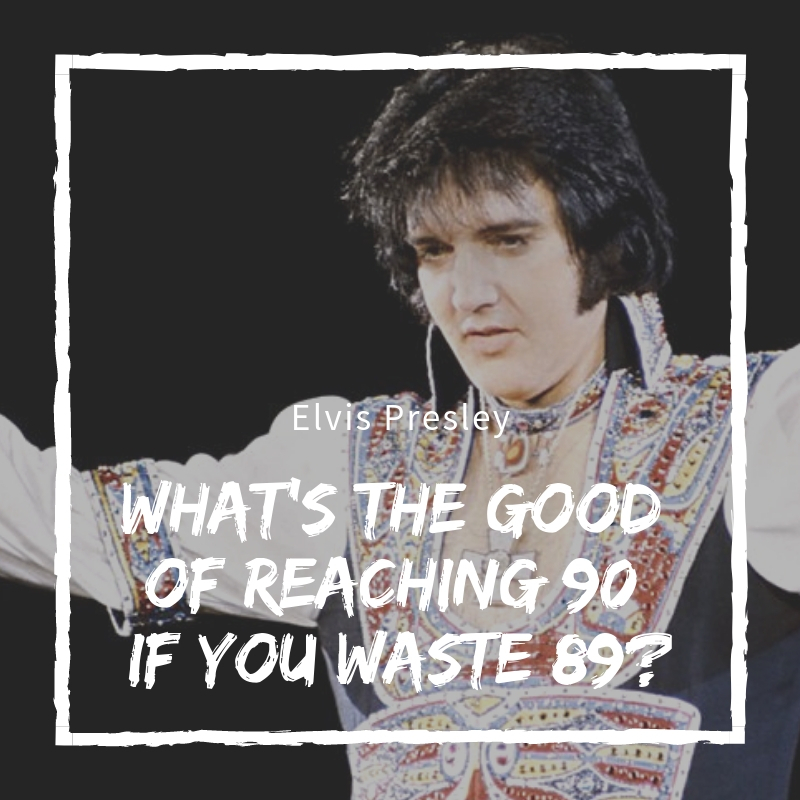 At the age 36, Elvis was given the Grammy Lifetime Achievement Award. He has also been inducted into various music halls of fame. Many years of prescription drug abuse has led to his untimely demise. 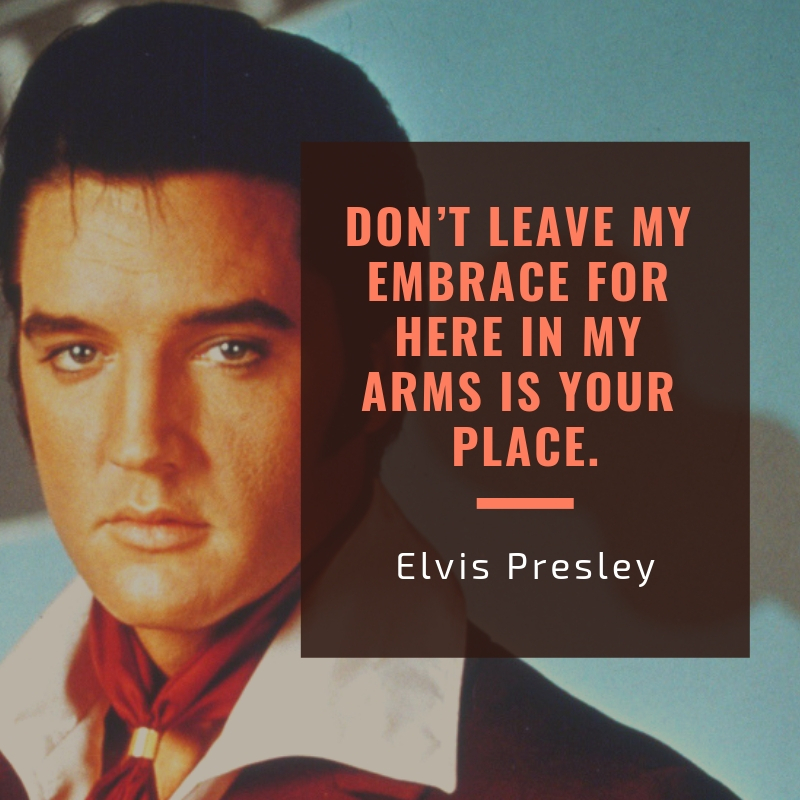 In 1977 at age 42, Elvis Presley died at his Graceland estate. Now and then, there’s a fool such as I. 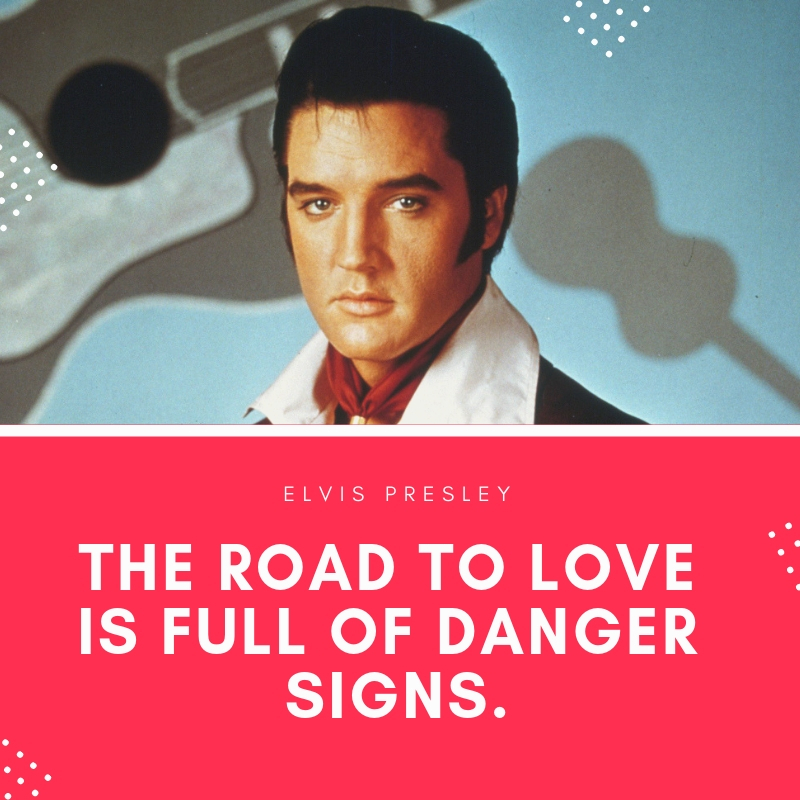 The road to love is full of danger signs. 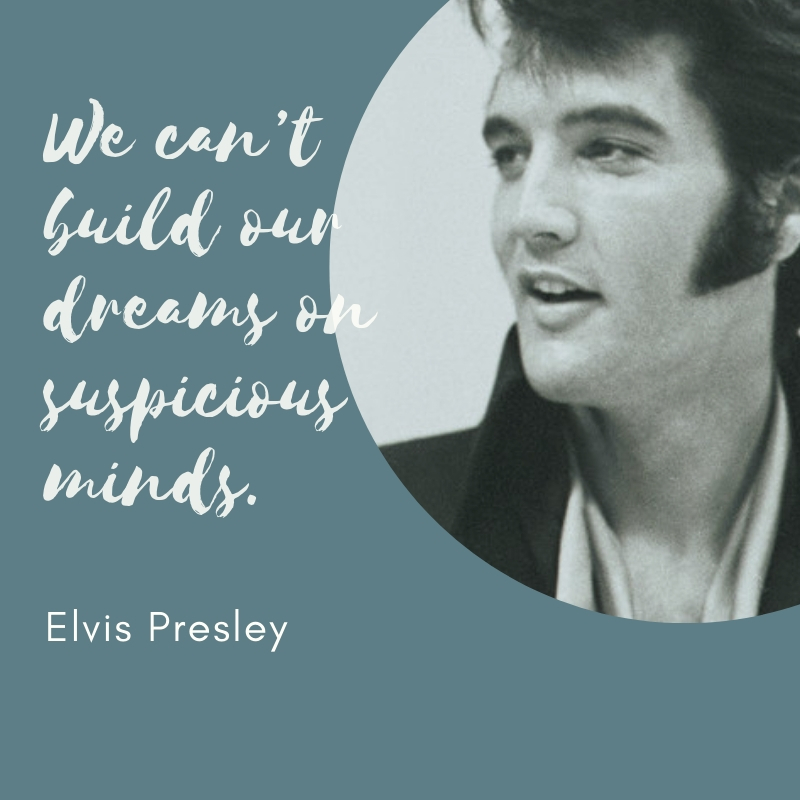 We can’t build our dreams on suspicious minds. What’s the good of reaching 90 if you waste 89? Don’t leave my embrace for here in my arms is your place. 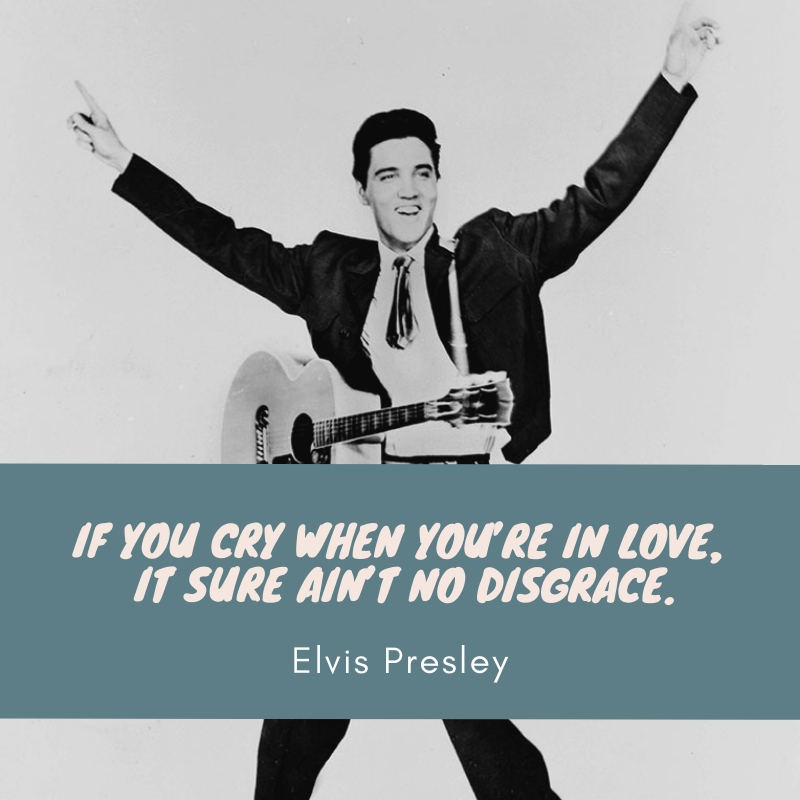 If you cry when you’re in love, it sure ain’t no disgrace. 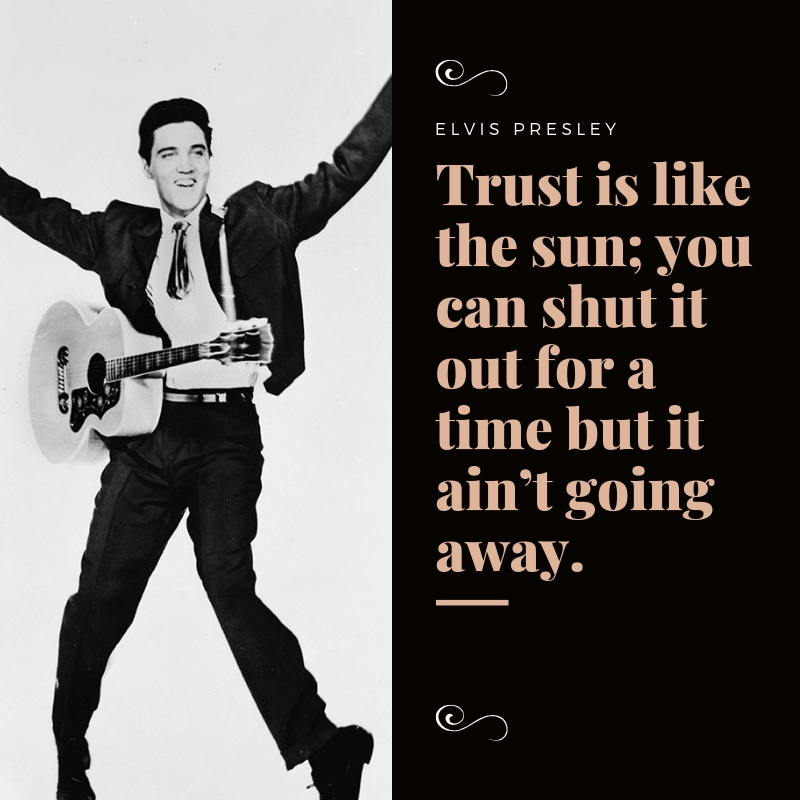 Trust is like the sun; you can shut it out for a time but it ain’t going away. Elvis Presley is a jack-of-all-trades. He is a singer, songwriter, and actor. 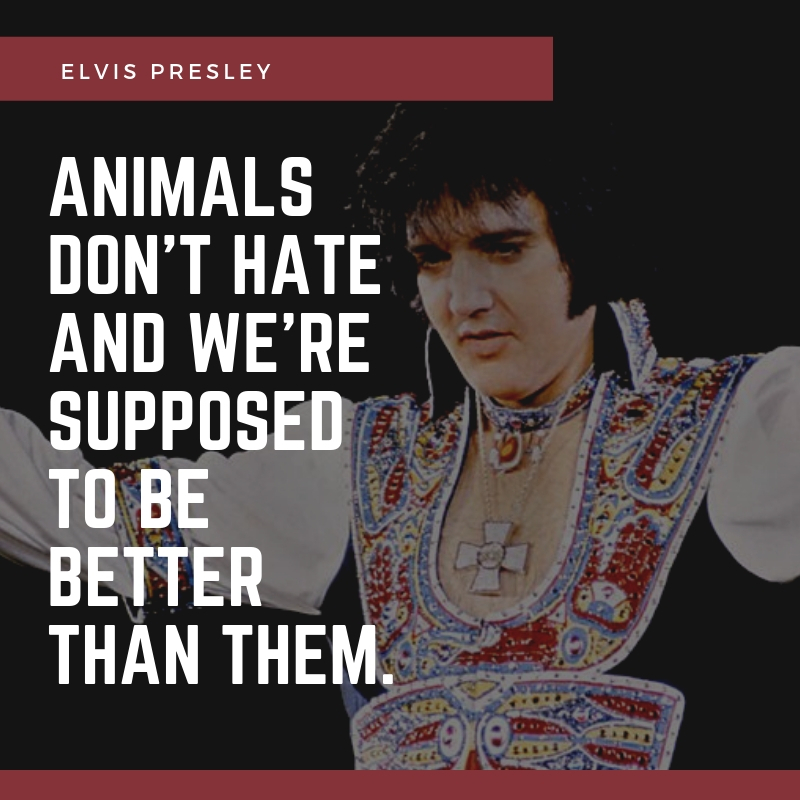 If you have heard his songs and watched his films, you will surely be delighted to read some of his best quotes that he has said on his songs or interviews. It may even incite a little trip down memory lane.